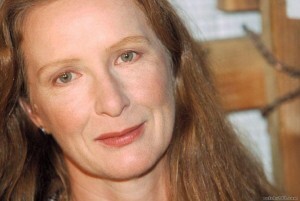 Frances Conroy Lands Lead Role in New Sci-Fi Series For NBC!!! Frances Conroy (Six Feet Under/American Horror Story/Scent of a Woman) has just landed herself the lead role in NBC’s upcoming sci-fi drama called ‘Beautiful People’. The project, written by Michael McDonald, is set in the near future in a society where humans co-exist with mechanical androids that look like people but are treated like second-class citizens. It centers on the very wealthy Lydia (Conroy) whose late husband founded the firm that makes Mechanicals. I just love Conroy in anything she is in. She was amazing in ‘American Horror Story’ and she was just phenomenal in ‘Six Feet Under’. I know she will be perfect in this role. I’m curious to see how this all looks. I wonder if the androids will look human or if they will show all the mechanical workings of them. Who knows? Conroy joins previously cast James Murray and Patrick Heusinger. My Bloody Podcast #16 – ‘Deep Blue Sea’! This entry was posted on Friday, January 6th, 2012 at 12:15 pm	and is filed under News. You can follow any responses to this entry through the RSS 2.0 feed. You can skip to the end and leave a response. Pinging is currently not allowed.